Nickelodeon is launching four new animated preschool series and three specials, as well as digital and consumer products initiatives. Viacom Lab has also opened its doors for business. As part of a multi-year strategy that has doubled its preschool programming over the last five years, Nickelodeon is launching four new series and three specials this summer, as well as digital and consumer products initiatives. New four new animated series currently in production include Butterbean’s Café, from Bubble Guppies creators Jonny Belt and Robert Scull, and Irish producer Brown Bag Films. It follows the creative cooking adventures of Butterbean the fairy and features a farm-to-table philosophy and a social-emotional curriculum focused on leadership skills. 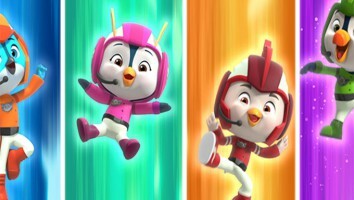 There’s also Top Wing, an action-adventure produced by Canada’s 9 Story Media Group that tells the story of a team of young birds in training to become rescuers. 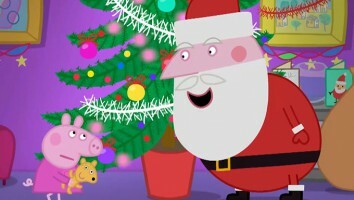 The series was created by Toronto-based Industrial Brothers and is being executive produced by PAW Patrol‘s Scott Kraft. 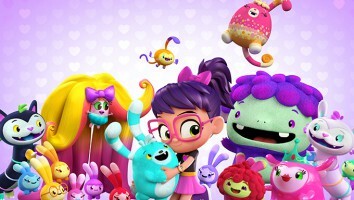 Abby Hatcher, meanwhile is from PAW Patrol producer Spin Master Entertainment, and follows a friendly monster catcher who helps her friends and monsters solve their problems. 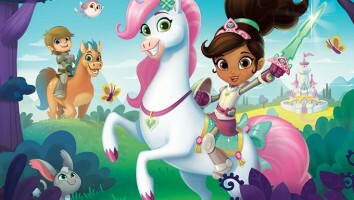 The fourth new program is Nella the Princess Knight (formerly Nella the Knight), a co-production with Viacom-owned Channel 5 in the UK. Created by Christine Ricci (curriculum consultant on Blaze and the Monster Machines and Team Umizoomi), the series revolves around the amazing quests of an unconventional heroine and empowers preschoolers to be courageous. In terms of new specials, a pair of Blaze and the Monster Machines specials will debut at 1:30 p.m. on May 30 and June 2. Guest stars adding their voices to both episodes include NASCAR drivers Danica Patrick and Jimmie Johnson. The specials send Blaze to the town of VelocityVille as a newly transformed race car. The third special, PAW Patrol‘s All Star Pups/Pups Save a Sports Day, is slated for a primetime premiere at 7 p.m. on August 22. 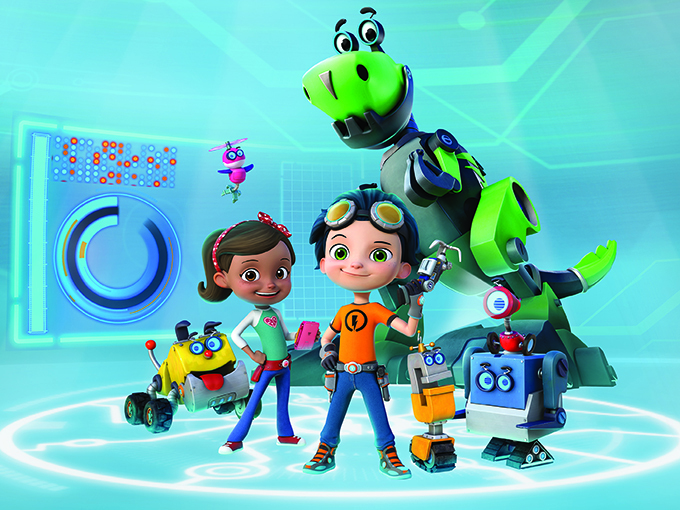 Nick Jr. premieres have also been set for previously announced series Rusty Rivets (pictured) and the revamped Teletubbies, which will bow August 22 at 7:30 p.m and May 30 at 8 a.m., respectively. A premiere date for the previously announced series Sunny Day from co-producer Silvergate Media is yet to be determined. For current show renewals, Shimmer and Shine is getting a new season. Shimmer and Shine‘s second season will debut at noon (ET/PT) on June 15 with brand new CGI animation, back-to-back eps, an accompanying NickJr.com game entitled Genie-rific Creations, and an iOS and Android app update for Shimmer and Shine Enchanted Carpet Ride. A Shimmer and Shine toy line from Mattel’s Fisher Price will also launch across the US in July. Other summer activity will see a live PAW Patrol stage show reach 90 cities across North America and Puerto Rico, while video service Noggin make its Roku debut and the Nick Jr. app launches on Android in August. In related news, Nick parentco Viacom has announced that leading GIF platform Giphy, animation tech company FlickerLab, mobile publishing system Citia and global lodging company Airbnb are the launch partners for its New York-based digital research and development hub, Viacom Lab. The Lab aims to drive greater fan experience and engagement across its brands through new products and cross-platform storytelling. Specialists working within the new unit will work both independently and in tandem with Viacom brands globally and report to Viacom’s EVP of marketing strategy and engagement Ross Martin, as well as EVP of data strategy and consumer intelligence Kern Schireson. Susan Claxton, VP of Viacom’s creative S.W.A.T. team Scratch, has also been named as the Lab’s executive producer. The Lab will leverage FlickerLab’s live animation app Animgram created by the studio’s co-founders Harold Moss and Tom Vedel. The app gives fans and brands an efficient way to create their own animation for instant publishing to social media and broadcasting. Working with Giphy, the Lab plans to create and distribute GIFs based on fans’ favorite Viacom shows across all of the company’s platforms. For Citia, Viacom will expand its use of the mobile-first publishing system that lets content and ads be instantly re-arranged and republished in multiple operating systems and social platforms. Airbnb, meanwhile, has introduced a replica location in New York inspired by Teenage Mutant Ninja Turtles that fans will be able to reserve. The experience is timed with the Paramount Pictures’ and Nickelodeon Movies’ premiere Teenage Mutant Ninja Turtles: Out of the Shadows.